Railpictures.ca - Michael Berry Photo: VIA 26 from Ottawa is making its station stop at Dorval on a snowy afternoon. The train consists of VIA 917 and four stainless steel cars. | Railpictures.ca – Canadian Railway Photography – photographie ferroviaire Canadienne. 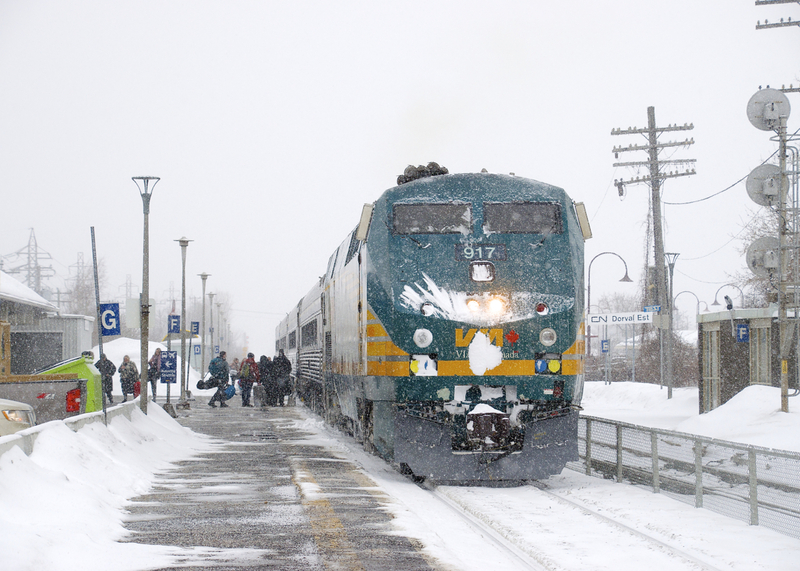 Caption: VIA 26 from Ottawa is making its station stop at Dorval on a snowy afternoon. The train consists of VIA 917 and four stainless steel cars.